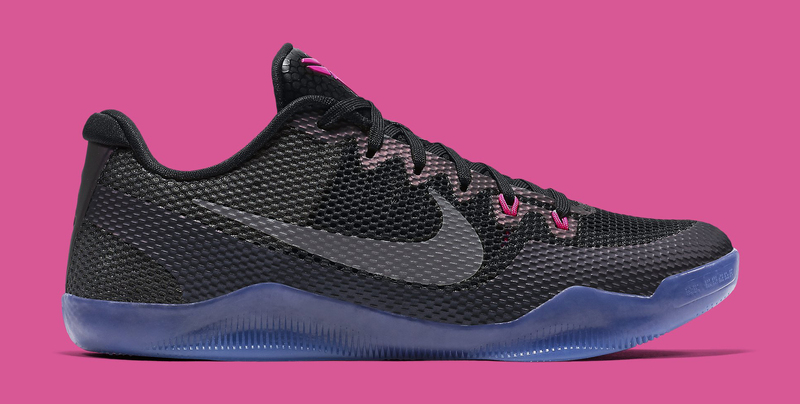 Check out this new Nike Kobe 11 colorway. 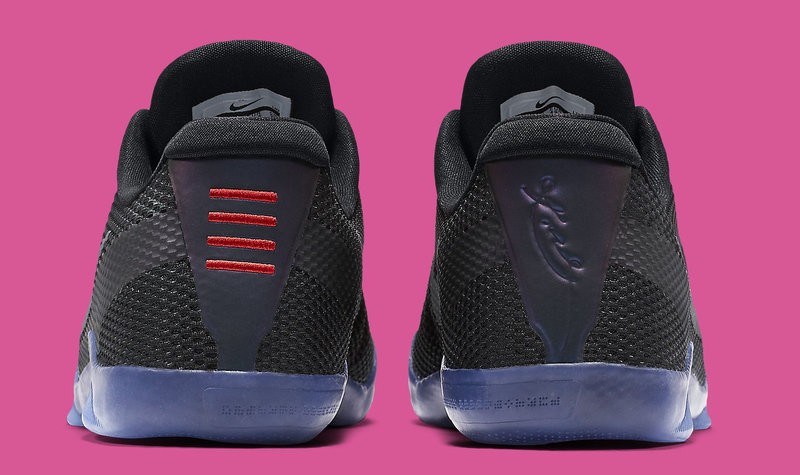 There's another black pair of Nike Kobe 11s on the horizon. 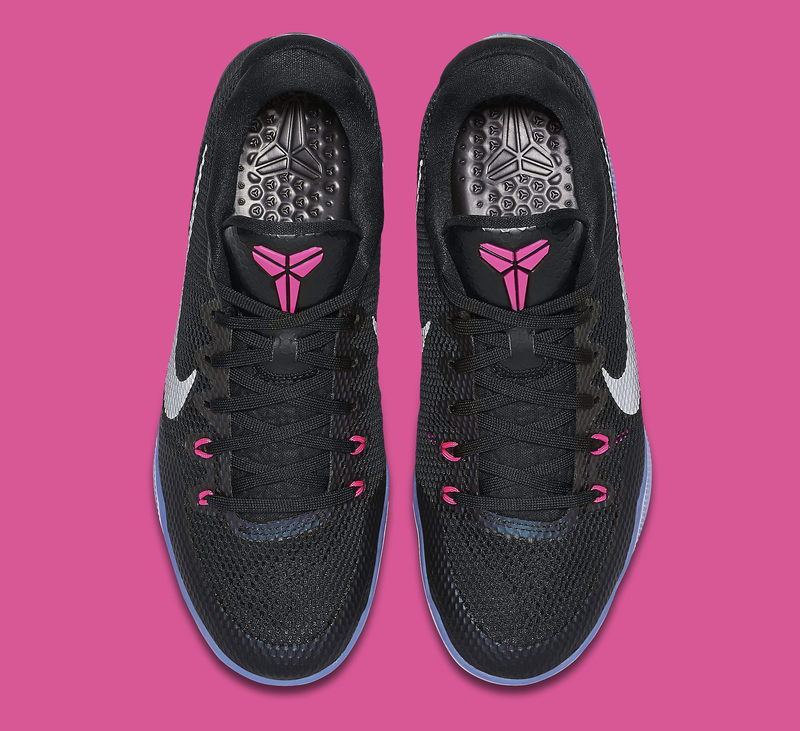 This one is not quite as colorless as the "Black Space" Kobe 11, and features pink hits in its accents via the tongue logo and Magwire supports. What's the theme on this Nike Basketball shoe? There almost certainly is one given Nike's tendency to tell stories with signature models, but the design background hasn't been explained yet. It's possible the shoe is meant to be an echo of the "Invisibility Cloak" Kobe colorways of old. There is no confirmed sneaker release date information available on these Kobes.